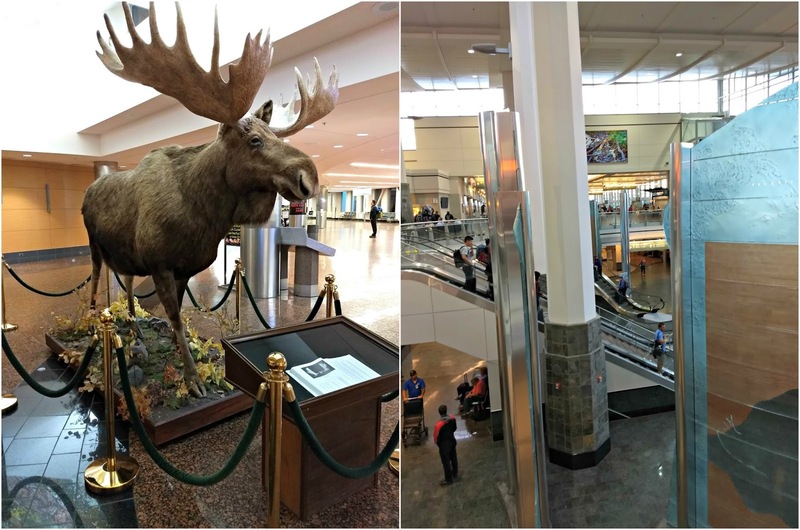 Today I am so excited to share with y'all a brief travel guide to Anchorage, Alaska. Visiting Alaska this past summer for our summer road trip was absolutely phenomenal. I am pretty sure that y'all are well aware that I loved my time in Alaska ... hahaha- considering that I labeled every place that we visited "my favorite". 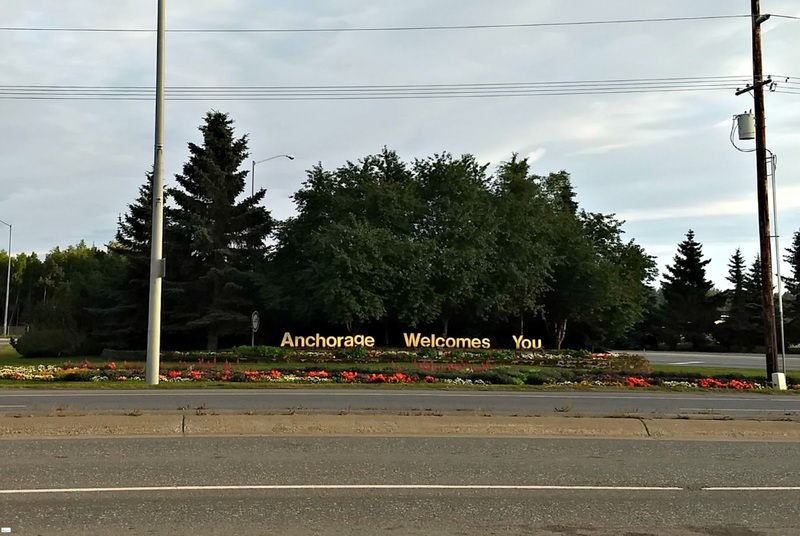 I have received a lot of questions about Anchorage specifically and today I wanted to share with y'all a brief travel guide on this city. Now I think it goes without saying, but I want to put this disclaimer out in front anyways. Obviously as a travel blogger visiting a place for a short period of time I am not trying to claim I am expert in any way. 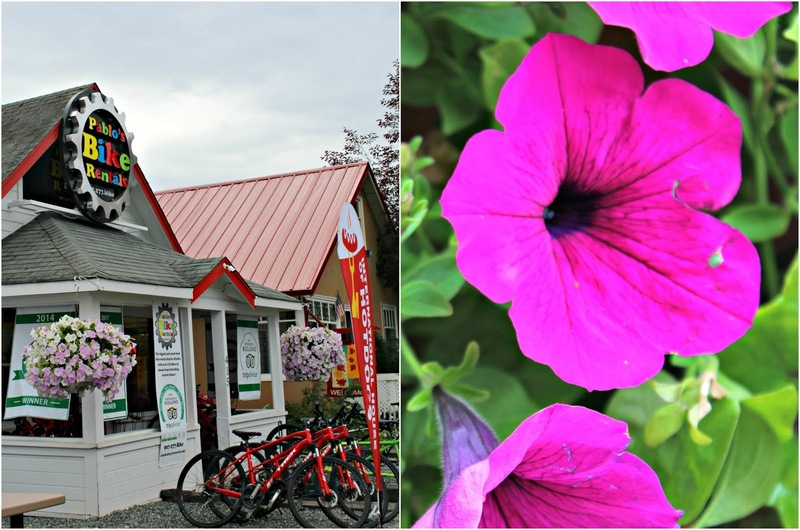 This type of post isn't for the Alaskan residents but for those who like myself may only be in Alaska for a short period of time wanting to know the best places to stay, eat, and visit in your brief time. 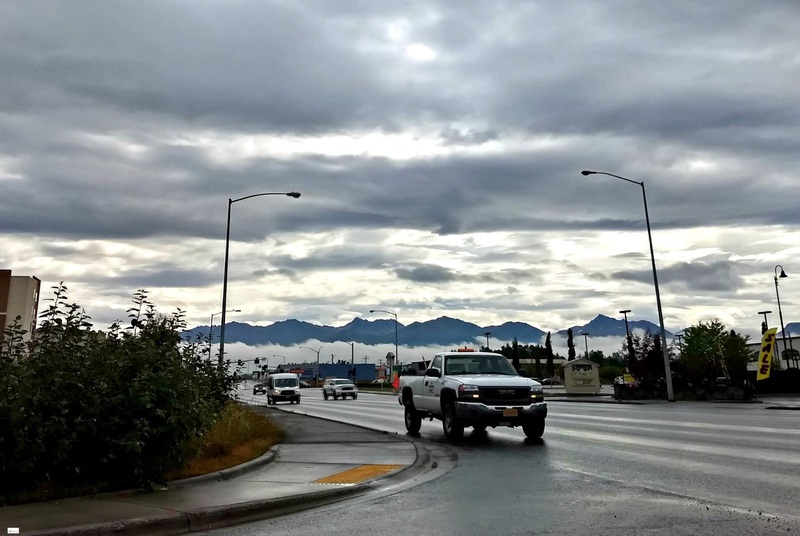 I also think it is important to note that 99% of the things that I saw on Pinterest and blogs when I was researching for the trip on things to do in Anchorage actually had people leaving Anchorage to go and drive somewhere. Hahaha. 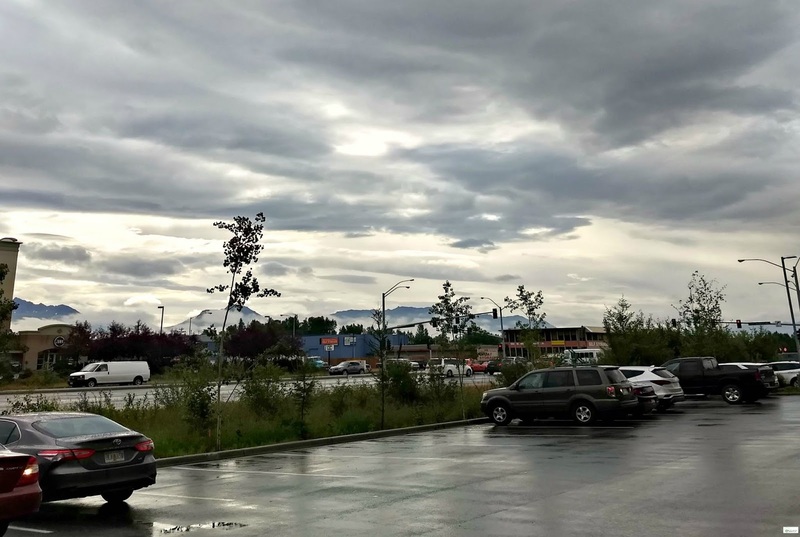 SO I definitely would recommend that (there are so many beautiful drives and places that I have shared that I did on the trip that are close to Anchorage *smiles*) but for this post I want to focus on everything in Anchorage. I hope that these things help! 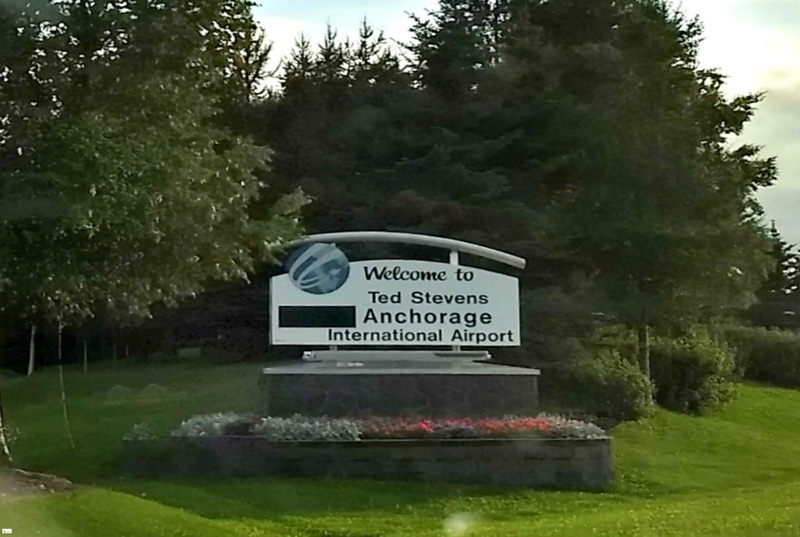 If you want to look up specific information about the Anchorage airport you can find the website HERE. from the Hyatt parking lot we caught a glimpse of the stunning mountains in the distance and we were already in awe! 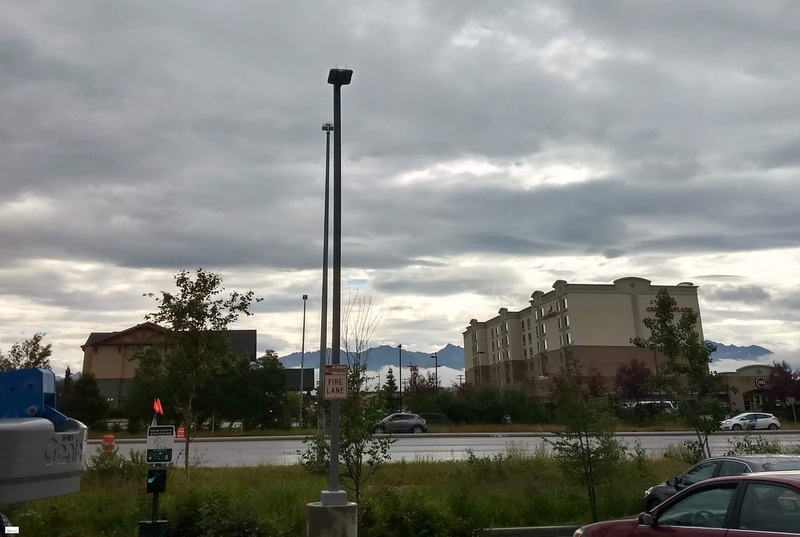 The last couple of days that I stayed in Anchorage alone I stayed at the Marriott (which was across the street from the Hyatt) and it offered a glimpse of the mountains too. 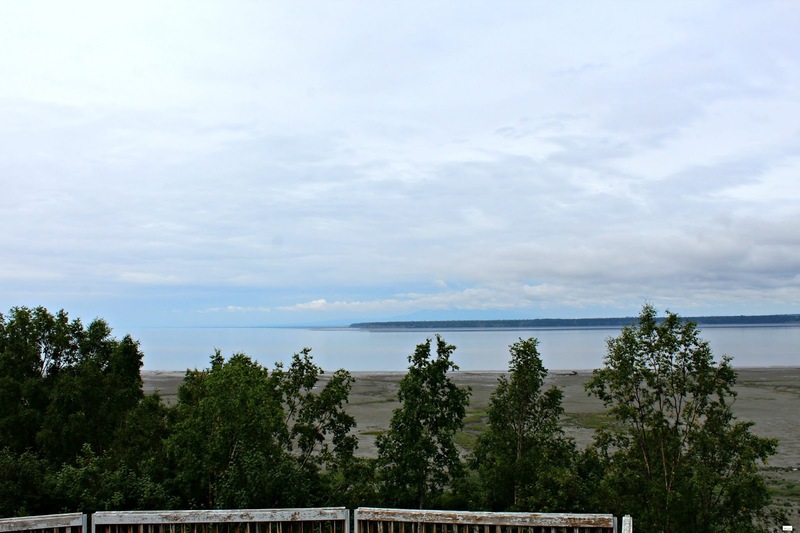 I debated for a long time on where to stay in Anchorage and went back and forth before making the decision to stay one night at the Hyatt (our first night before our adventure really began) and then I stayed two nights at the Marriott by myself at the end of our road trip adventure. Both hotels were fine and the prices were fair for this area and safe which was a major factor when I was choosing a place to stay. 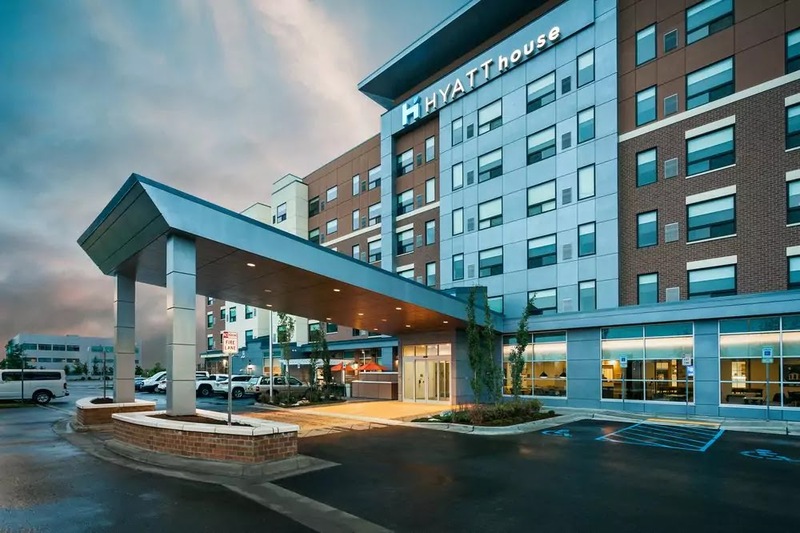 I will admit that both of these properties are not the ones to choose if you are looking for "the most magificent views" or the "most luxury hotels" but honestly for what I wanted (a safe location, a quiet place to sleep, a clean room, and a fair price) they are both great and I would recommend them both. 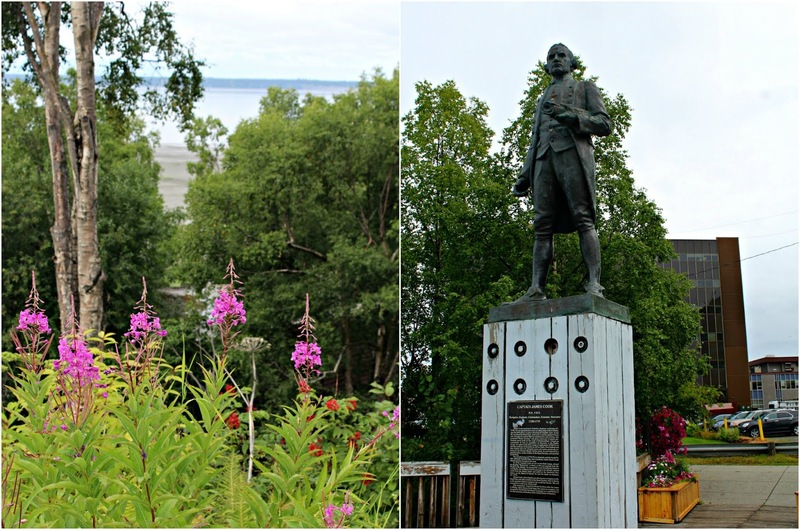 The Resolution Park in Anchorage (with the Captain Cook Monument) is a tribute to Captain Cook who was an explorer. 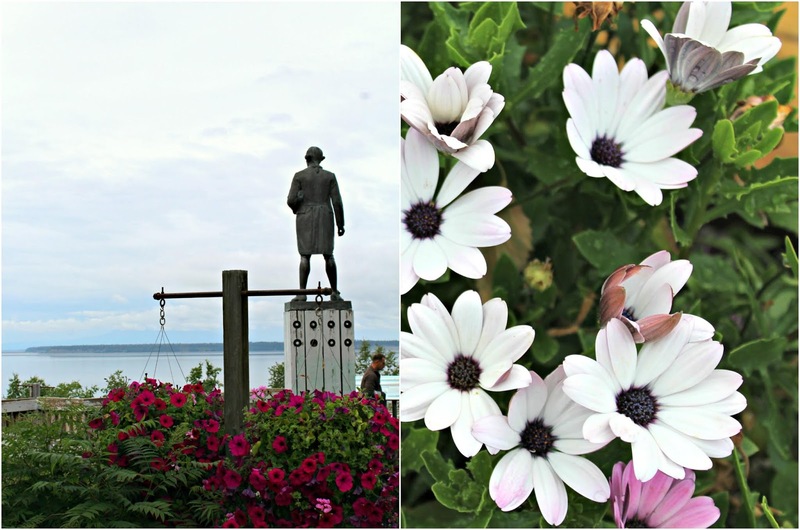 Although Captain Cook actually never reached Anchorage, he is still credited with his exploration of this area and this park gives a glimpse of the views that he would have seen looking out to sea. 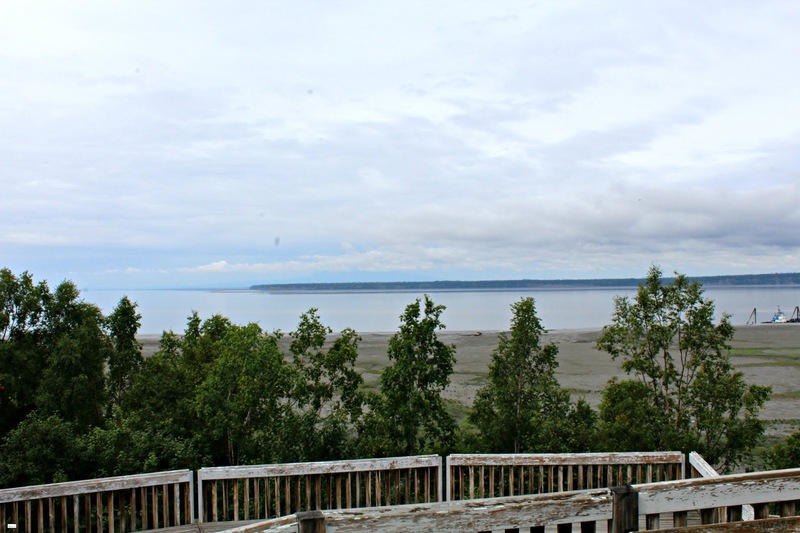 From the park (if you go on a clear day) you can see Denali in the distance) and also see Susitna Mountain which is located across the water. Interesting note, Susitna Mountain is referred to as "Sleeping Lady" by the Anchorage locals I was told so if you hear that name that is what it is in reference to. 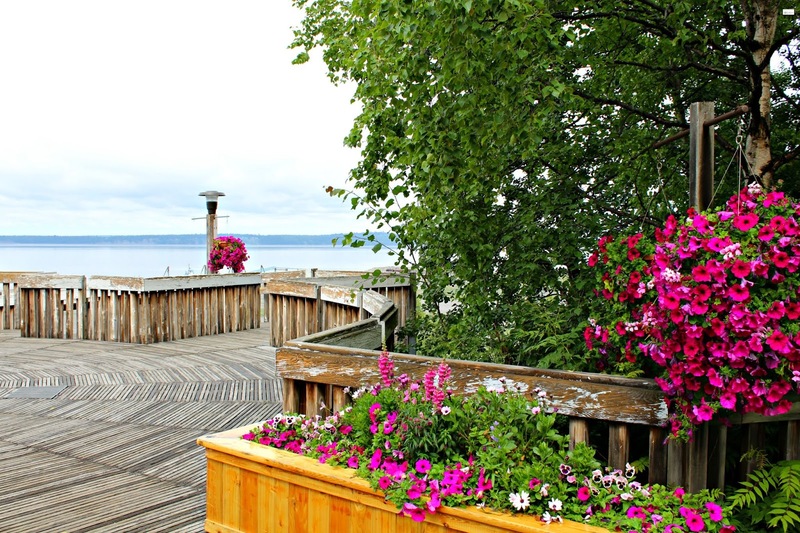 This area also has the Anchorage dock and affords gorgeous views and sunsets so be sure to see it at that time of the day. This is a beautiful trail with amazing views of the city that I definitely recommend. There is a $5 parking fee but it is totally worth it to see the city from this location! 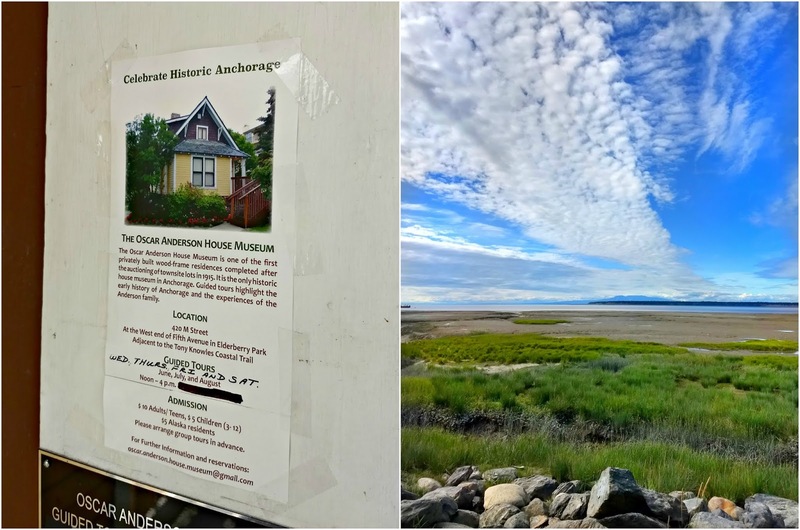 The Oscar Anderson House Museum was a building that was constructed in 1915 by an Anchorage resident, Oscar Anderson. He claimed to be the 18th person who set foot on what is now Anchorage. Okay, so y'all know that I love random things in history and this just seemed like one of those random things to me (I mean the 18th person?!?... now I want to know who the 17th person is *smiles*). I didn't actually go inside the house museum but you can see it from the coastal trail if you are interested in going in. 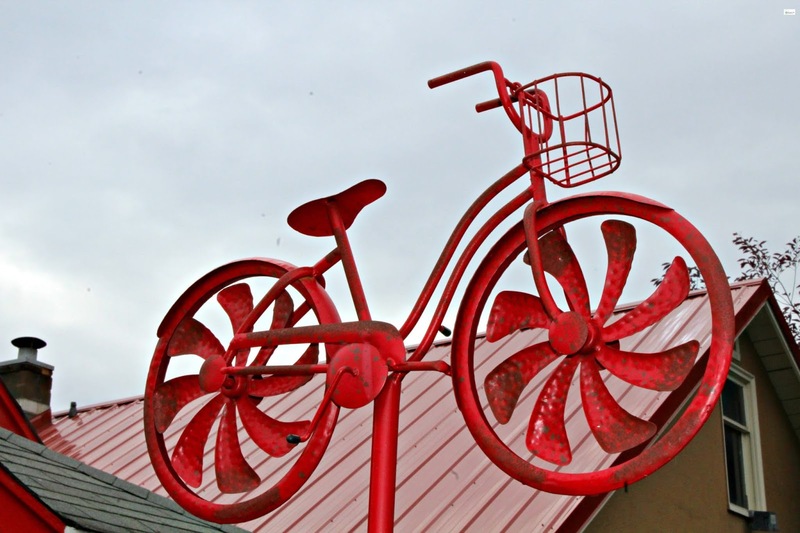 The Tony Knowles Coastal Trail is an 11-mile long paved trail along the coast of Anchorage. It is absolutely beautiful and I actually spent two different times on the trail walking different parts of it. 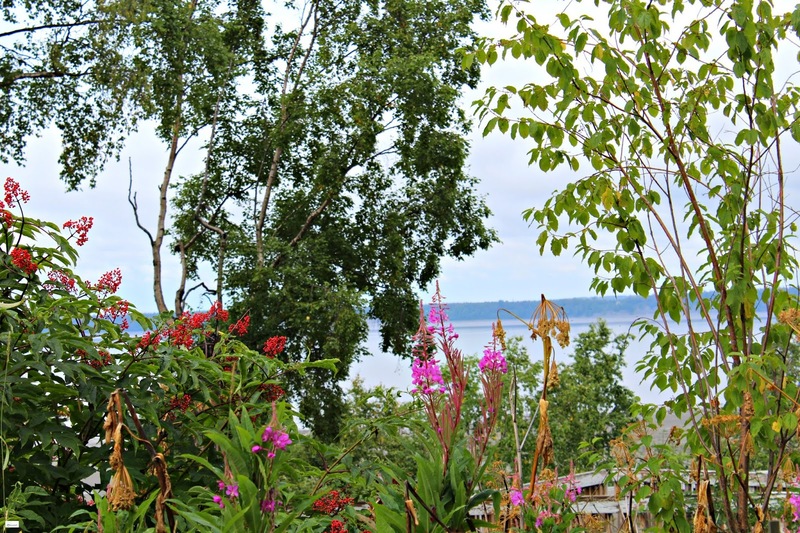 If you are in Anchorage you need to check it out- it is gorgeous! 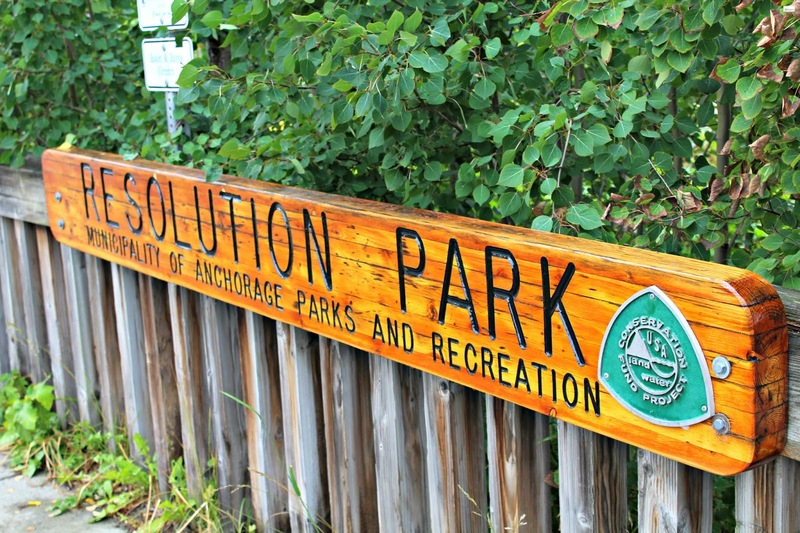 Located in downtown Anchorage this is the oldest park in the city to visit. It's not large and can be seen in a very short amount of time, but it was fun to see this area. 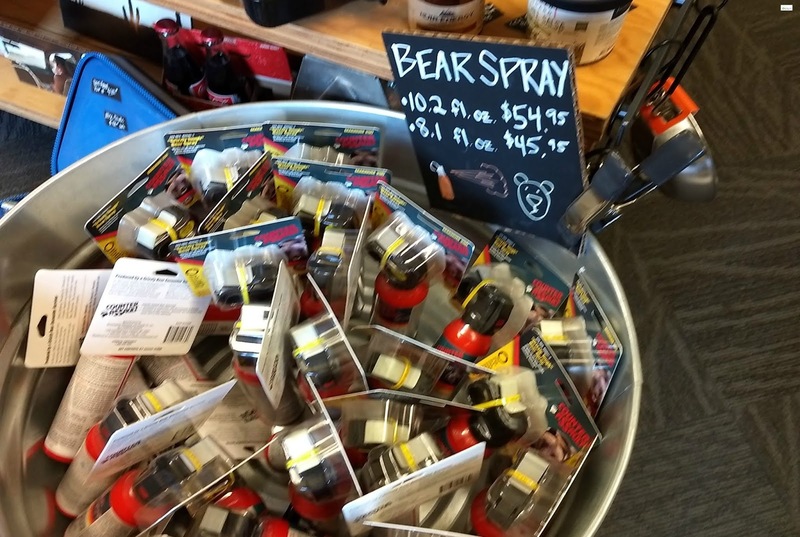 If you are going on a road trip from Anchorage than this will most likely be one of your stops on your way out of town for supplies (including bear spray if you plan on hiking). 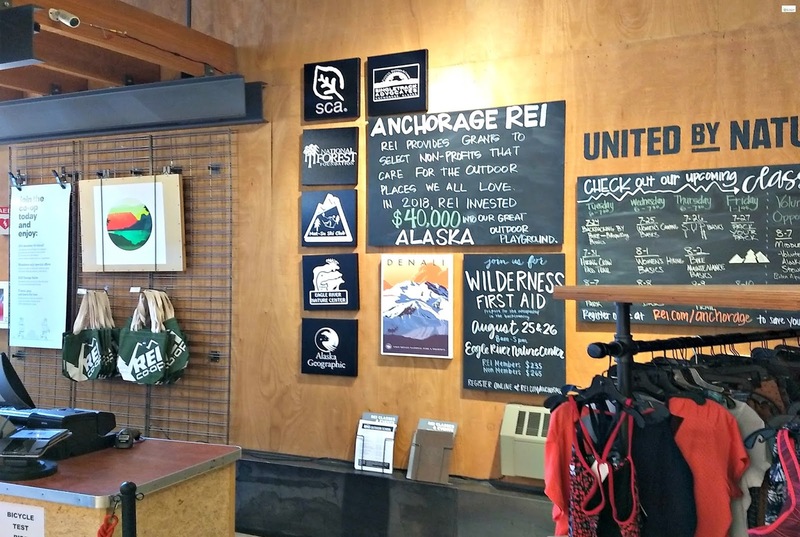 I love REI's and there isn't one in close proximity of where I live so it was fun to spend time exploring this store. 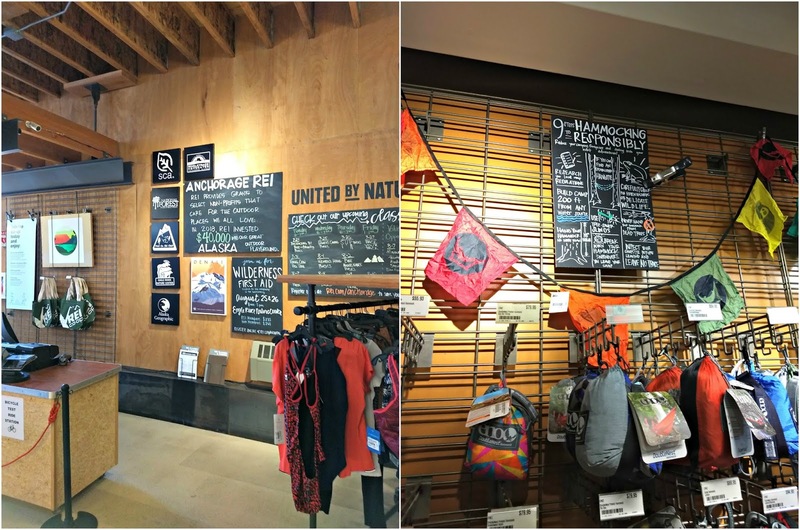 Located in the same shopping center as REI Title Wave Books was a fun place to wander around in and spend a little bit of time. They have new and used books and a fantastic collection of Alaska books if you are looking for some to take home with you after your trip. This is kind of a random suggestion (I don't think I have ever suggested visiting a local university or college before on my travel guides) but one that is worth noting. 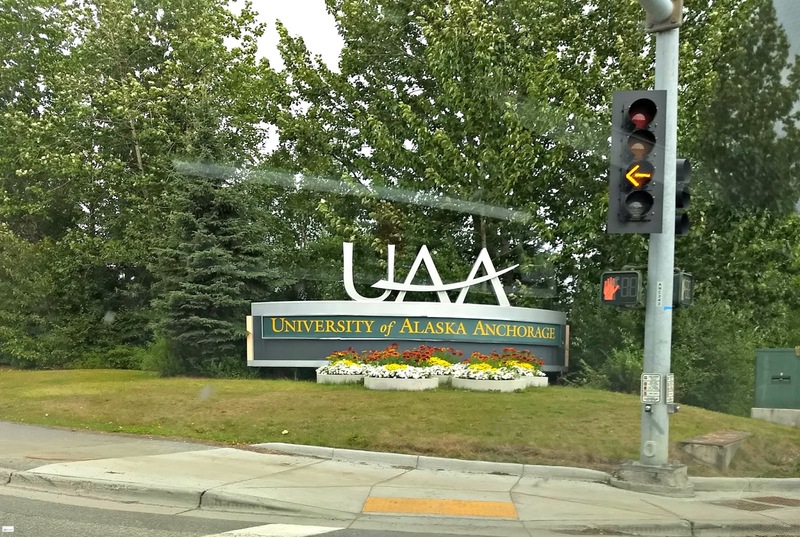 I had a meeting with a couple of professors for some research for an upcoming book that I am working on and so I was on campus for a bit of time while I was in Anchorage. It was interesting because leaving I thought about doing this more often when I travel. Professors are a wealth of information about their specific fields and it is interesting to learn from experts around the globe this way. In addition to this often times universities have special art programs, sports events, etc. that could be fun to visit and experience so check them out. I totally admit that I loved seeing the baby and mama moose briefly on our road trip and thought it would be fun to see more. I had read that Kincaid park had a large moose population and went to explore. There are close to 1500 acres of trails in the park and you can hike or bike in this area. While I didn't see a moose, it was still a beautiful place to visit. 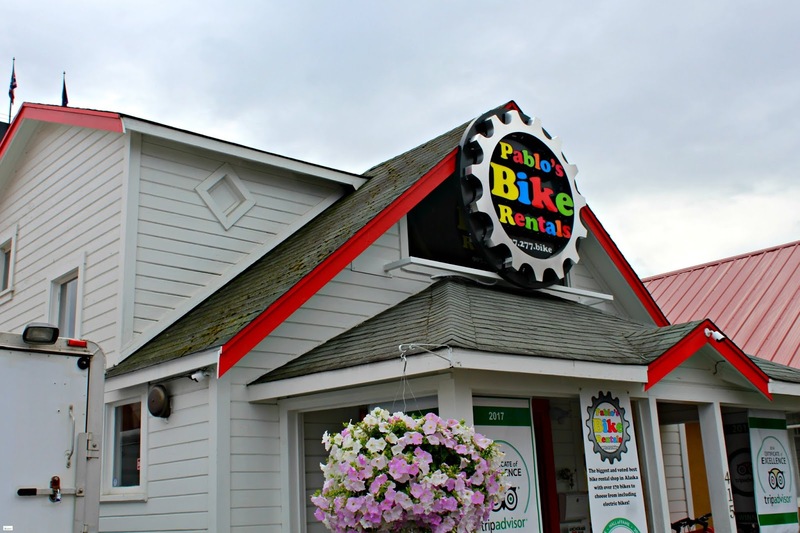 There are plenty of places to explore via bike in Anchorage so consider renting a bike to explore this way! Every Wednesday and Friday there is local Alaska music and Alaska Native performers that hold concerts for an hour in the Peratrovich Park in Anchorage. 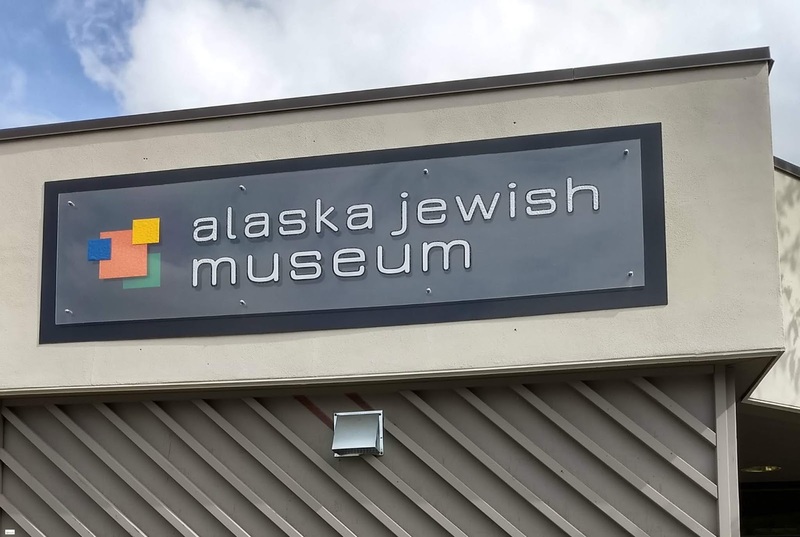 On every trip I take for the blog I like to try to visit one museum and when I heard about the Alaska Jewish Museum I was incredibly interested about visiting. 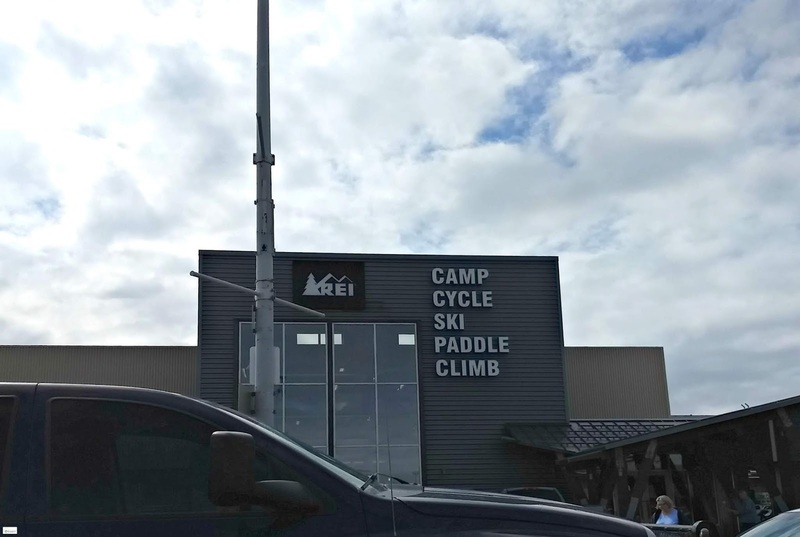 The museum hosts Jewish history in Alaska but also discusses the ties of the holocaust from World War II (a major area of interest for me) to Alaskan heroes and survivors. 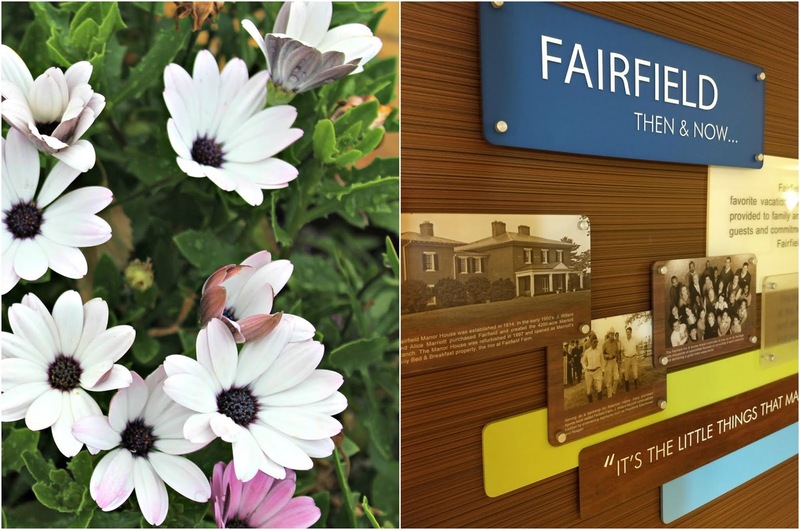 The museum is very very small and won't take much time to get through, but I found the curator to be fascinating and we discussed our passions for keeping this area of history alive at some length when I visited. I definitely recommend including this in your trip to Anchorage if you are looking to visit a museum. There is a $10 cost to enter and you can find the website HERE. I am only including places that I actually ate at while I was in Anchorage so that I can testify to them personally. There were so many different recommendations that were given to me that all look amazing so I can't wait to check out more and share more on my next trip. Offering both breakfast and lunch this adorable cafe is a true treasure that we loved on the trip. 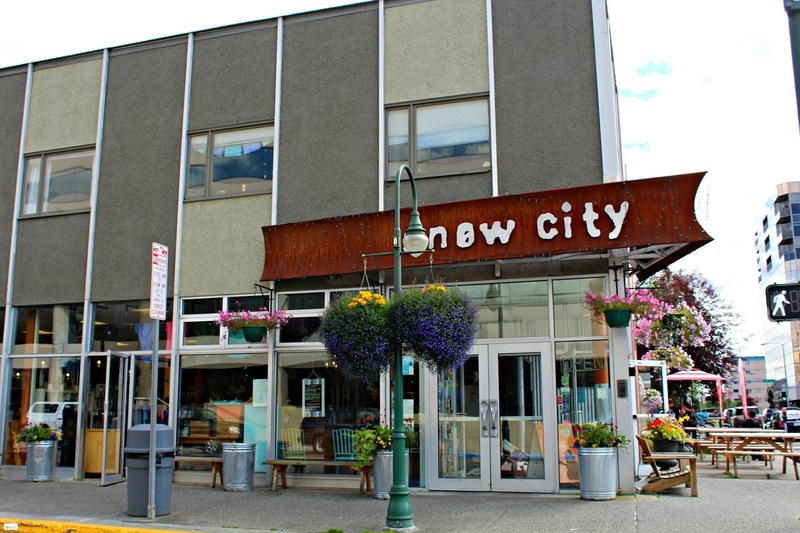 We ate brunch here on our first morning in Alaska and then also stopped here when we were traveling through Anchorage on our way to the Kenai Peninsula and then I ate at it one more time before leaving the city. It was delicious y'all and for those like myself who are gluten free, they have celiac friendly options on the menu! Be a bit warned that it is very busy and you should expect a bit of a wait, but it will be worth it. You can find the website HERE. Moose's tooth was recommended to me by an Alaskan Air marketing rep who swore by Snow City and Moose's Tooth. Since we loved Snow City, I was curious to check this out. It was yummy and so fun to be able to eat a gluten free pizza which is a treat! You can find their website HERE. Charlie's holds a special place in my heart because of how incredibly kind and amazing they are. 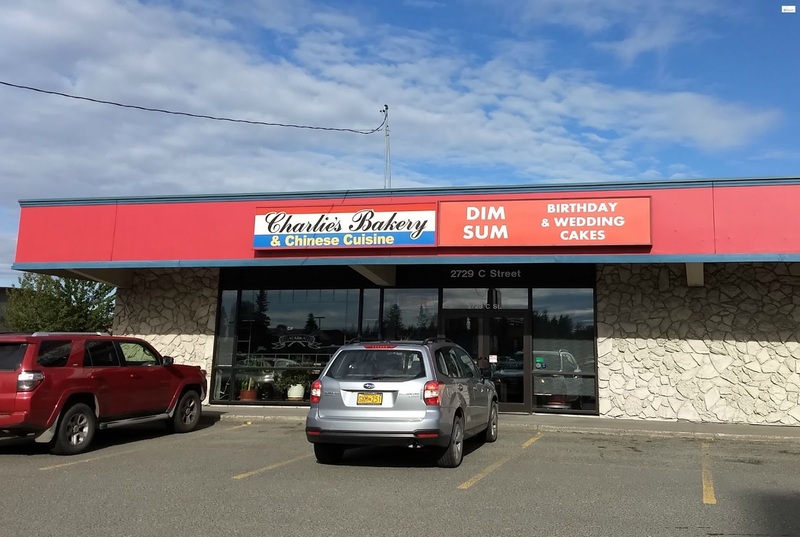 I heard about Charlie's sometime early last fall from J, way before the trip to Alaska. I wanted to stop in to thank them because last Christmas they had helped me with a fun Christmas present (shipping food across the country!) and had been so incredibly amazing about the whole thing. I mean seriously y'all. AMAZING. Of course I had to stop in and say "thank you" in person and chat for a bit along with getting some food. Y'all... it was delicious and I would totally recommend this place. A bit of warning: the portions are HUGE so split something! Hahaha! No seriously... it is so yummy and I am craving some of it as I am writing this post. Again, I wished there was more time to try more restaurants because the recommendations I received were all amazing (thank you!!) and I can't wait to try different ones the next time I am in Anchorage. 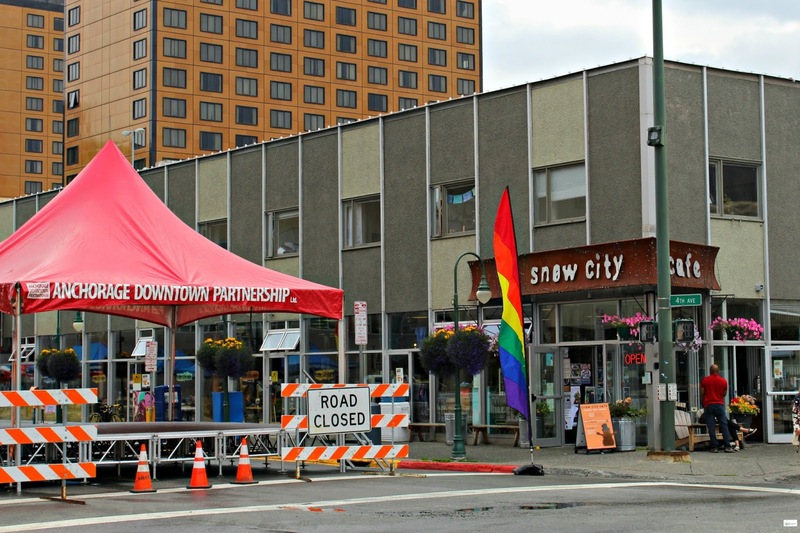 I hope that this brief guide helps for your time in Anchorage! Thanks so much for reading and following along y'all!